Don't ask me how I found out about this book because I don't remember, but it's a good one. I traded my hard-earned American currency into British pounds (on the credit card statement at least) and bought a copy from the UK. Well worth the cost of currency exchange, 21:37 is one of those crime novels I love -- dark, mysterious, with absolutely zero hint of cutesy to get in the way of getting into the crime and starting the journey toward its solution. 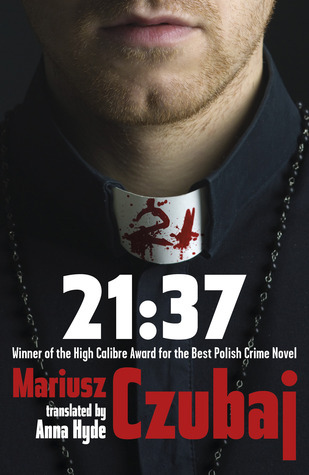 The author, Mariusz Czubaj, has (according to Stork's website ) co-written two novels with one of my favorite Polish authors, Marek Krajewski -- books I would pretty much kill to have in English; he's also written three books featuring his own crime-solving creation, profiler Rudolf Heinz. 21:37 is the first of the Rudolf Heinz series, followed by Lullaby for a Murderer and Before I Kill Again, neither of which has yet been translated into English. That's a shame, because although I wasn't so fond of how the book ended, I was beyond happy with 21:37. It kept me entertained, glued and -- the best sign of a good mystery for me -- I was constantly trying to guess who might be the killer and never figured it out. Moving between Katowice and Warsaw, the main character in this novel is Rudolf Heinz, "Hippie" to his band friends, a profiler, and at 44, is "the best in the country." He's viewed as a "weirdo" among police regulars, a "specialist in out-of-this world, imagined theories," but he's good at what he does. His family life is less than spectacular, and he's got darkness in his personal past, a case that "ruined his career and his health." He's happiest when playing classic rock music with his band. 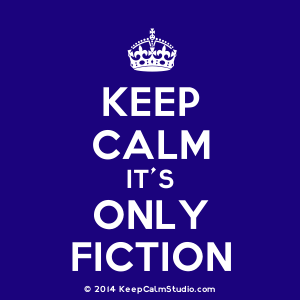 But playing with the band at their latest gig has just been cancelled as the novel opens -- he's needed elsewhere. Two young students from a theological school in Warsaw, in their 20s, have been discovered near the Olympic Center in Warsaw. Both had plastic bags over their heads on which pink-lipstick triangles had been drawn at their mouths. A special team has been created to look into this crime, and Heinz's help has been requested, because of his expertise in cases "with religious subtext." Although he doesn't want to go, because he's currently working on an important case, he has little choice. When he arrives and is being briefed on the case, he learns something that makes him realize why he has been called in -- each of the young seminarists was gay, and each had numbers written on their bodies: 21 and 37. As one of the special team members informs him, when "our" pope died, the time was 21:37, a detail they'd kept quiet, and one that set off alarm bells among the Ministry. Considering the staging, Heinz realizes that he's got a major challenge ahead of him. 21:37 is dark, and some of the issues are perhaps even a little controversial, especially those involving homosexuality and the Catholic church. I really, really like this author's writing style -- it's realistic, relatable due to many cultural references he uses throughout the book, and edgy on the verge of downright gritty. Nothing cutesy about this writer or his subject matter at all. While much of this novel is naturally taken up with trying to flesh out the main protagonist Heinz, there is a good story here as well as an intelligent, excellent mystery at its core. The characters (for the most part) had a lot of credibility, especially Heinz. He's tough on the outside, but his past experiences and the fact that people view him as an outsider and a weirdo have left him with a sort of vulnerability that helps define who he is. There's also a very well-evoked sense of place in this novel so you end up with a lot of local feel in terms of location and people. The translation wasn't an issue, either -- nothing here to interrupt the reading flow, no awkwardness in wording. What wasn't so perfect was its ending -- I had to go back and reread several last chapters before I understood what was going on here, and I didn't find it that impressive but rather aloof, making it confusing and a bit off-putting. On the other hand, I read this book in one intense sitting, unable to stop turning pages. I hope Stork continues to publish more of Czubaj's works. If 21:37 is any hint of what his other books are like, I'll be buying them all. Definitely recommended to readers of darker crime fiction.